The Contemporary Museum of Calligraphy is commissioning an update for the project of the Constitution of the Russian Federation as amended in 2014. The text is written by Yuri Koverdyaev, graphic artist and a member of the Union of Artists of Russia. Just like mountain climbing, calligraphy has its own peaks and stages. With all my calligraphy practice of many years, one of the significant peaks for me was writing the Constitution of the Russian Federation. Creating literary texts, especially when they resonate with your heart and come in harmony with the state of mind, resembles a pleasant promenade in the hills on a sunny day. We remember the feats of our soldiers during the Great Patriotic War. We mourn those who never returned from the fields of battle. For five years Russian people have been participating in the campaign “Ribbon of St. George” as a tribute to the memory of the fallen and as a mark of respect to those who returned from the war. We remember the great feat of our country! Late in the evening, on the eve of the Day of the Russian Constitution, our correspondent posed questions to the Chairman of the Presidium of the National Union of Calligraphers Petr Chobitko about the handwritten Constitution of the Russian Federation. The Contemporary Museum of Calligraphy was officially opened! The first International Exhibition of Calligraphy was held in St. Petersburg. To be able to answer the Petersburgers’ teasers the organizers of the Moscow exhibition invited Larisa Drygval, professional graphologist, DSc (psychology), the only Moscow specialists of the Inessa Goldberg School of Graphic Analysis to participate in the Mystery of World Calligraphy Project. The difficult and toilsome process of writing the Constitution of the Russian Federation manuscript is close to its end. The basic part of a hand-written masterpiece is transferred from St.-Petersburg to Moscow already. The rest is expected after the November holidays. Publishing house “BUKOS” began its preparation for the edition of an exact copy of the handwritten Constitution of the Russian Federation in miniature. The books are here, the miniature editions of which are absolutely different from the high symbolic value of the originals. And, undoubtedly, the Constitution of the Russian Federation is one of those books, the sense and value of which is not decreasing, it doesn’t matter how many millimeters the calligraphic letters measure. Some say that when one dreams of something this something is half-real so this doesn’t make one unhappy, but when the dream has gone it leaves one sad since the expectation is harder to suffer. On 1st August the Contemporary Museum of Calligraphy was opened. Newspapers wrote “an event that all the amateurs of beautiful hand-writing had long dreamt of finally happened”. Over a month ago it opened for visitors inviting them to enter and to look at the works of calligraphers. The International Exhibition of Calligraphy has come to its end. Every movie, exhibition, spectacle, to speak generally every event has its memorable moment. That image that automatically recurs to you when you hear a familiar name; that is what was mentioned in the talk: “Do you remember that exhibition?” “Sure! That was when…”. It is a pleasure and honour to us to announce that the 17th of September has witnessed an official Grand Opening Ceremony of the International Calligraphy Exhibition! This is a true highlight and a must-visit for calligraphy experts and professionals. A lot of people who have a tender spot for this art were edgily looking forward to this Event to take place. One day is left before the long-awaited project, the International Exhibition of Calligraphy, is launched. The project is welcomed by professional calligraphers and artists as well as everyone interested in the art of calligraphy, writing culture and traditions. 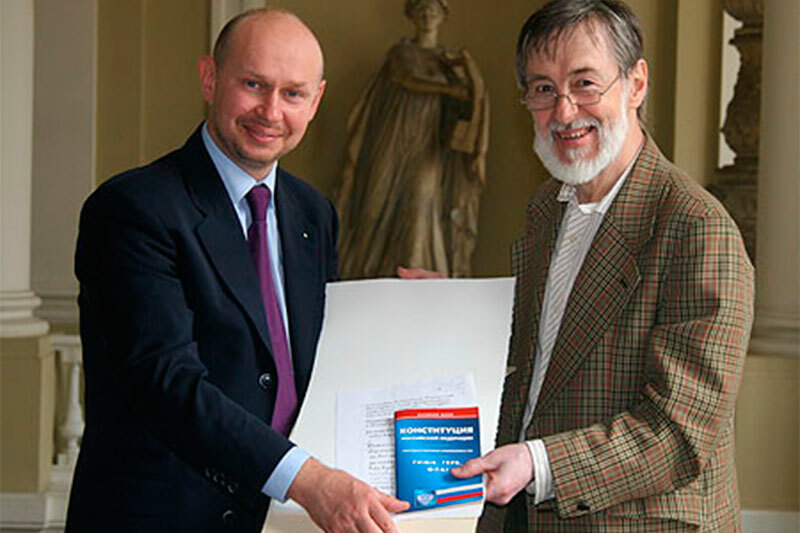 On 11th September 2008 at 12.00 in the press-centre of PH AiF the first and onlyhandwritten Constitution of the Russian Federation was presented. This project is a result of collective efforts made by team of calligraphers and editors at the head with a Presidium Chairman of National Union of Calligraphers Pyotr Chobitko. Russian handwritten Constitution is a part of the socially educative forum of the International Exhibition of Calligraphy. ETAT from the Minister of culture of the Russian Federation. I am glad to welcome the participants and guests of the International Exhibition of Calligraphy. This exhibition promises to be an important event in the cultural life of Russia. The State flag is one official symbols of a state. There was no universally accepted flag for Russia until the middle of the 17th century. On August 8th in St. Petersburg the International Exhibition of Calligraphy organizing committee, President of the National Union of Calligraphers Pyotr Chobitko met with famous Russian calligraphers. During the meeting they approved the design of the first handwritten Constitution of the Russian Federation. Dear friends, the calligraphy brotherhood! We congratulate the initiators, participants of the Museum of Calligraphy and maintenance team of this historic Project! We would like to thank our colleagues for this educational idea which will be developed by other cities of Russia, and the countries of the CIS which appreciate the Old Russian script. Dear friends! Russia is a great museum nation celebrated for cultural traditions and unique literature. And recently Russia gained a new Contemporary Museum of Calligraphy. The Contemporary Museum of Calligraphy is ready to welcome the visitors. The preparations are over; exhibits are unique and put at their places so that the audience could see all of them. However, it is not only the interior of the museum that creates the special atmosphere of beauty but also its exterior, the grand entrance to the museum. On August, 1st Russia will welcome the unique museum of lettering, named the Contemporary Museum of Calligraphy. The opening of the Contemporary Museum of Calligraphy is the threshold of the International Exhibition of Calligraphy. On July 22nd the Contemporary Museum of Calligraphy was registered as a non-commercial organization. The certificate was issued by the Central Federal District Administration of the Ministry of Justice of the Russian Federation. Yesterday, July 22nd, the National Union of Calligraphers was issued the certificate of registration with the Department of the Ministry of Justice of the Russian Federation in the Central Federal District. Registration number 3629. The full name of the Union of Calligraphers is as follows: “Non-Profit Partnership of Assistance to the Revival of the Art of Calligraphy “The National Union of Calligraphers”. 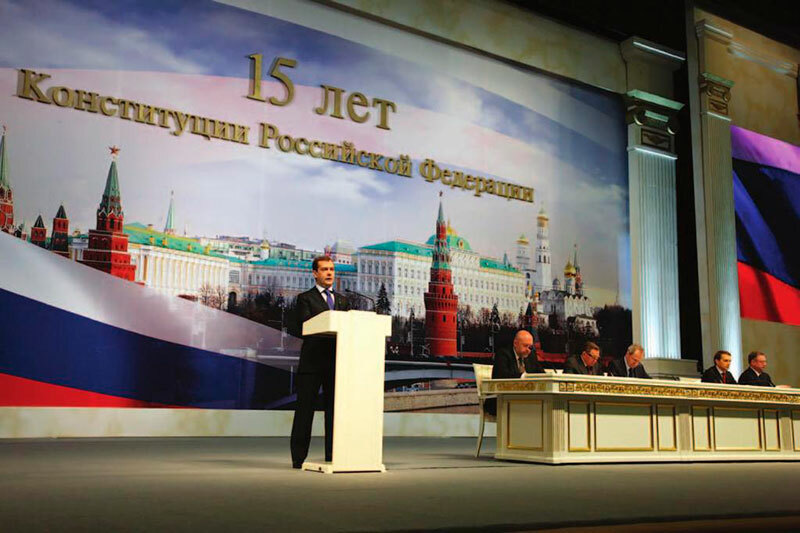 On June 24th, Dmitry Medvedev, President of the Russian Federation, issued a decree to organize a theoretical and practical conference dedicated to the 15th anniversary of the adoption of the Constitution of the Russian Federation. 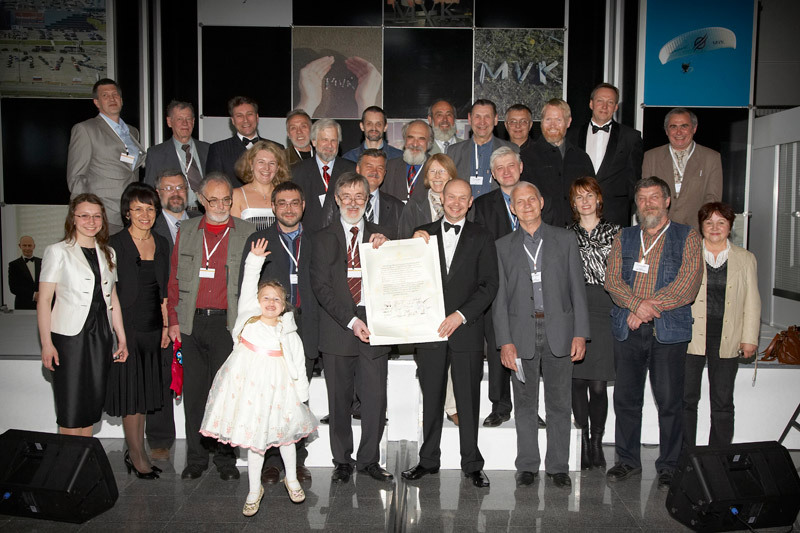 The conference is scheduled for December 12th-13th, 2008, Moscow. Work on the Hand-Written Constitution Started! A contract with the Rare Book from St. Petersburg Publishers was signed during the St. Petersburg visit of Alexey Shaburov, International Calligraphy Exhibition Project Chief Executive, on June 17th. During the meeting, they discussed the fundamental issues of creating a manuscript and presented the first page sketches. 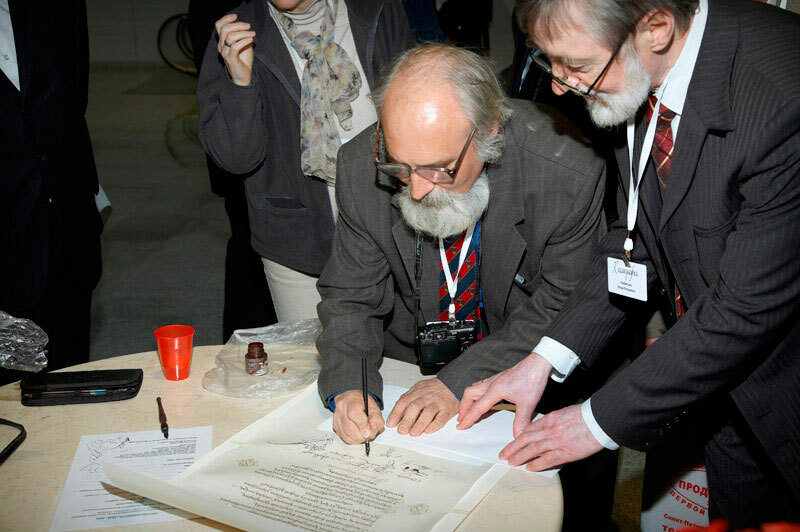 The Calligraphers’ Union is intended to unite masters of writing from all over the world and lay the foundations of development of the calligraphers’ movement in this country. The idea of its establishment was initiated on May 14th, 2008, at the presentation of the International Calligraphy Exhibition. The participants signed a manuscript that confirms the start of implementation of this project.